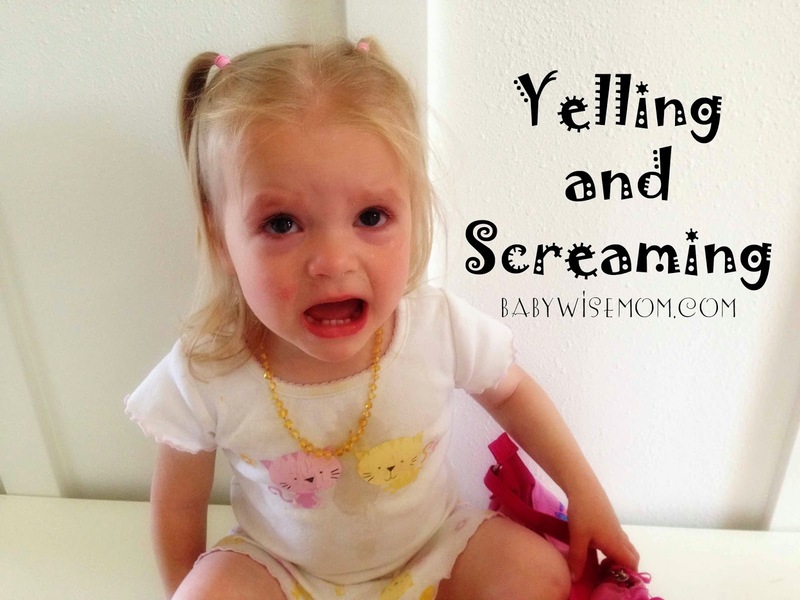 I have seen several questions lately on what to do about a child screaming or yelling. We are talking yelling/screaming in appropriately. Maybe this is in a house, the car, church, etc. I typically don’t write about things until I have had adequate time to reflect back on things–in other words, I try to wait until I can speak with the wisdom that reflection brings. Neither Brayden nor Kaitlyn were big yellers. When it first crept up, I said, “That’s a no” and it never became a persistent issue. Enter McKenna into my life. If you have read this blog much, you know that she is nothing short of tenacious. She also has that youngest child personality quirk where she loves to get under the skin of people–especially her siblings. Screaming gets a fast and interesting reaction, so she loves it. She hasn’t been consistently bad. We had our screaming moments, worked on it, they went away. They came back up, worked on it, went away. That cycle has repeated itself a few times in her short life. Here are some ideas for stopping screaming. I wish I could give you a five-step process for ending screaming for good, but I am still working on that myself :). So here are some tips that have worked for one or more of my kids. If you have further ideas, I am all ears! Offer Alternative (Substitution): A lot of times, the child is screaming because she has just figured out it is possible. This is usually true of the babies under 12 months. That is why remaining calm is a good idea and firmly telling the child not to scream. But you also want to offer the opportunity to do the screaming. Take the child outside or somewhere she can scream and let her have at it. The idea is that the novelty will eventually wear off and she will move on. Screaming is not inherently wrong, so it is good to provide an alternative. Time-Out: Sometimes, removing the child to a time-out might be necessary to stop the screaming. I would say this is not going to be needed for a child under 12 months old. Change of Scene/Distract: Your child might be bored and need a change of scenery. Sometimes taking her to a different room can do the trick. Sometimes distraction is what you need. McKenna’s favorite place to scream is in the car once she gets bored. This is my hardest place to do anything about the screaming. The best thing to do is distract by giving her a book, listening to a book on tape or music, etc. Teach Sign Language: Many times, screaming is an effort for the child to get your attention for something. Teaching the child how to sign what she wants will help eliminate the screaming in this case. Ignoring: If the screaming is the result of simply wanting attention, sometimes ignoring will get the child to stop, but only if the child knows the screaming is not okay in the first place. Teaching to Talk Appropriately: McKenna has recently started up her yelling again, and this is what is working for her. I have been working to teach her appropriate voices. Whispers, softly, inside voice, outside voice, etc. She is learning them all. Once again, please share your tips for curbing the yelling and screaming! 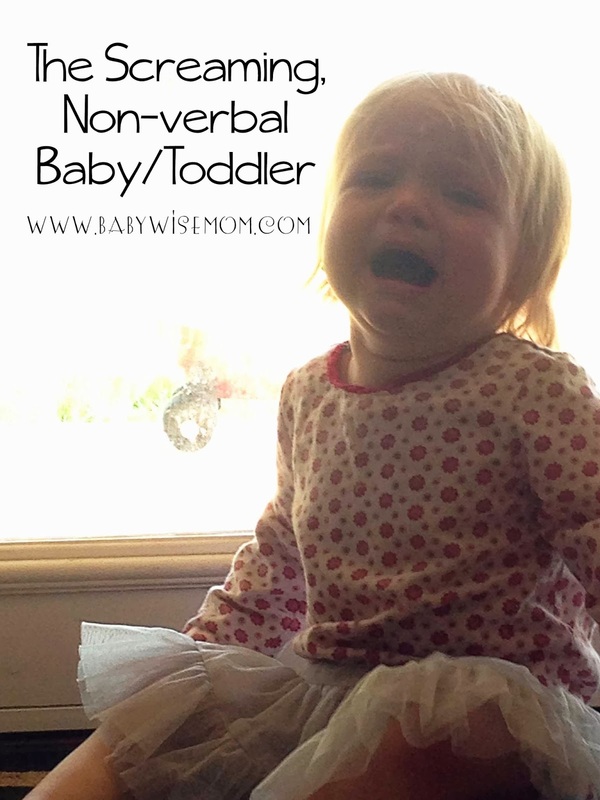 Update: See my post on the Screaming Non-Verbal Baby/Toddler for more help on what to do with a screamer and fit-thrower. I just want to say thank you! Screaming is my #1 issue right now and I hadn't found much on your blog or others about it. This is super helpful!! !I have been putting my finger horizontally in between my son's lips (7 months old) and playfully moving it up & down so his scream sounds funny when it comes out. This helps diffuse awkward public screaming, and interestingly enough makes him stop because it sounds funny to him. Go figure! Thanks for this post! We too have a screamer on our hands and it is very challenging for us to deal with. First of all, I find it extremely annoying! I mean how many times have I been around someone else's child that did the same thing and thought "Oh, that is awful!" Now I am eating my words! Our son's screaming was bad around 10 or 11 months and has subsided somewhat. I was pretty certain that his was a means of getting our attention and/or from frusteration due to lack of communication. So, in addition to saying "No" while putting a finger to his lips, we have been continually hammering home sign language while encouraging him to "Use his words". It is just now starting to help (13 months). He is extremely stubborn and chooses not to do things that I am fairly confident he has the ability to do. But, the screaming has improved recently. I hope that if we continue on with what we have been doing, we are at least on a path to minimize it as much as possible in the future. Thanks again for your advice – your blog is very helpful. Michelle, we definitely are not alone :)Marysol, that is a really fun idea! I like the idea of making it fun to distract the child from the screaming.Christine, you are welcome! Hello, I have this same problem with my 22 month-old girl. I think she does it for attention, esp. because there is a new baby in the house.With a new baby, though, screaming is even less desirable! Imagine trying to get a baby down for a nap with a toddler (literally) screaming for attention. So here's what I do: Make sure the kid has a favorite toy around that can get taken away (consequences for "hurting the toy's ears) and given back as needed. This works well for my 22 month old, as does a time out, which she hates. I also make a game out of shh-shh-shh as we walk through the house while my baby is sleeping. I also ask if she can use her soft voice…she is starting to get how inappropriate screaming is and to do it less. Our son was a screamer for a few months, but he's been much better lately. I don't know if any one thing helped or if he just grew out of it. We gave him time-outs for it on many occasions. We tried to help him see that it hurts other people's ears and scares his baby brother. Later I noticed that he mostly did it when he was excited, while being tickled or chased, etc. So I explained that he should say "yipee!" or "hooray!" but not scream. We also tried "only scream outside" but let's face it, that's annoying too. Anyway just hang in there, I'm sure your child will get bored of it too. Dan, I like that idea–telling them what to say. Thanks for your thoughts. DS has started a bad habit of screaming. I have said that's a no, given time outs, etc, still screaming. I try to explain he can yell outside but doesn't seem to work. It's ear piercing shrieks. Hardest is in the car because what can I do? I dont want to pull over all the time. He also scremas and flails his legs while diaper changing and I am 6 mo pregnant, i have to protect my belly! I'm at my wits end. I think this stems from the bigger issue of first time obedience issues. We were doing pretty good until he turned two about a month ago and it has gone down hill dramatically. He is so defiant! I say no, he looks me right in the eye and does it again. I know I need to start making him say yes mommy and get strict on following through on every single command. What can I do besides time outs? He recently switched to a big boy bed and while he stays in it for naps and bedtime, he won't stay in it for timeouts! I spend e whole time out trying to keep him in bed! HELP!